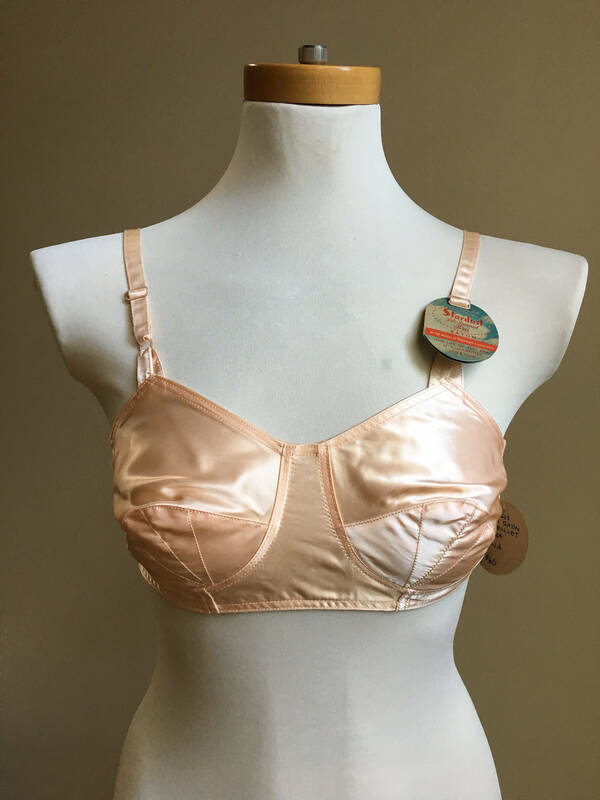 Vintage 1950s new old stock pink / peach satin bullet bra with original Stardust tag still attached. 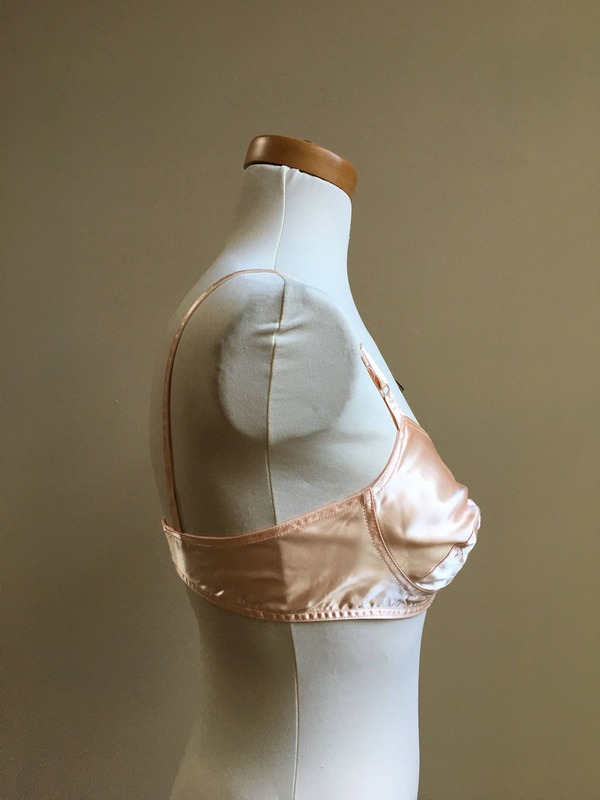 Near-perfect vintage condition; little to no wear. 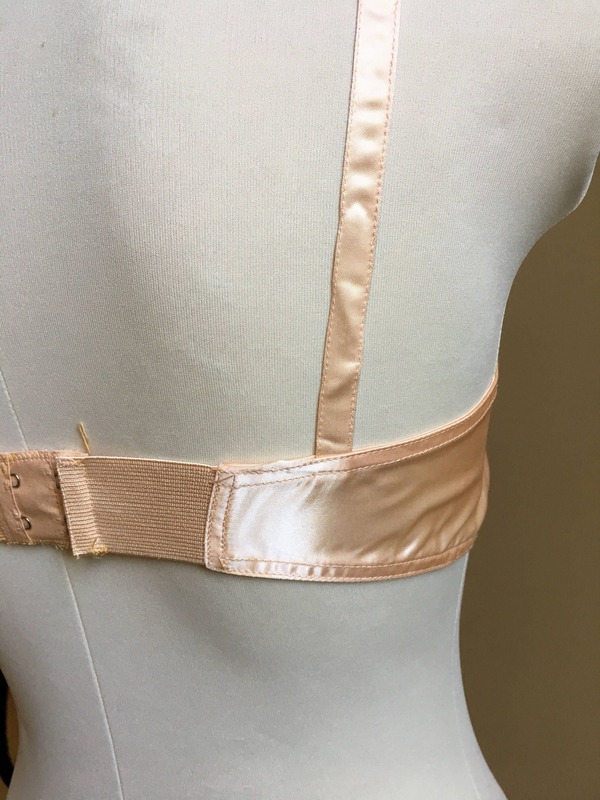 Only flaw is some minor discoloration on back elastic band and near hook-and-eye back closure (pictured). 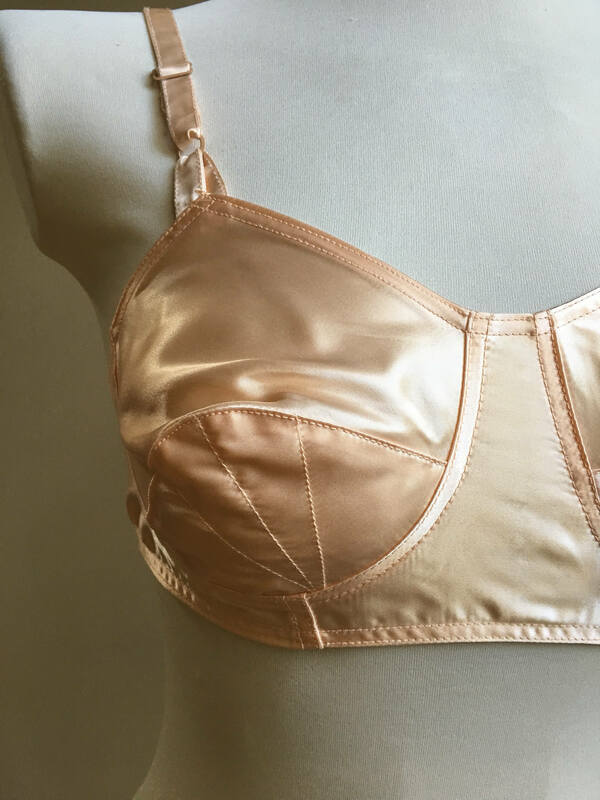 No other flaws to note - no holes, rips, pulled threads, stains or other discoloration. Elastic band in back on either side of hook and eye closure; brand new feel with plenty of stretch. 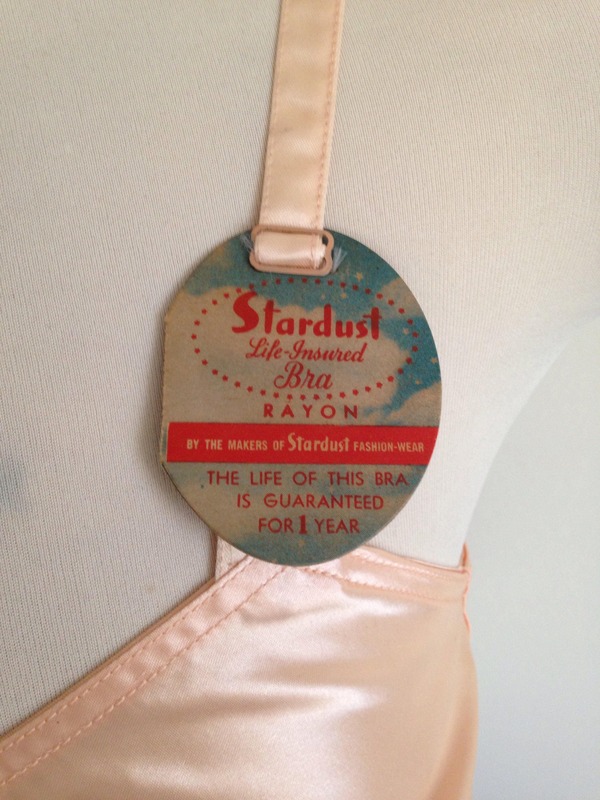 Stardust tag on the inside of bra reads '34 A'; size is true to modern size.